The Team Baker takes over where the Baker Hardhat left off. Bern has stuck with its signature style with this simple yet effective helmet, but added EPS-certified foam under the ABS hard shell, making the helmet safety-certified for ski, bike, and skate. On the lower end of the price range and without many of the bells and whistles of the fancier helmets, the Team Baker fills a niche category that has worked for Bern for years. The Team Baker is available this year in solid black or solid white (shown above). The price has also dropped $10, down from $80 to $70. The Team Baker came with mixed opinions from our reviewers, but the consensus seems to be that it performs as a no-frills helmet with the specific hardhat look that Bern has cultivated over the years. No vents, big visor, the Team Baker is a unique looking helmet in a style category of its own. With little to no padding, one of our testers noted pressure points on her head while wearing the helmet and was concerned how that would feel actually taking a hit to the head. Also, although there is almost no padding throughout the helmet, the ear pads have a lot and are quite bulky, causing pressure points and pain during a long day of skiing. Lastly, the Team Baker seems like it runs a little on the small side, so be sure to try one on before buying. If you're interested in a simple helmet with a similar style and a bit more padding it might be worth checking out the Giro Ledge or the Smith Maze. The Team Baker isn't the lightest helmet we tested, but it's definitely on the lower end of the range. Injection molded helmets are generally a bit bigger and bulkier, but the Team Baker is one of the sleeker helmets in that category. The hardhat look is nicely shaped, relatively sleek, and not too bulky. The Team Baker seems to have been built for days when you don't plan on hiking, side-stepping, or sweating. It is made for winter and summer use, so the liner can be removed, but this doesn't provide for a lot of variability if you're out skiing for the day. The ear pieces on the Bern are bulky and warm, but the actual helmet doesn't have a lot of insulation, and if you want a visor our testers found the Smith Variance and Editorss Choice Smith Vantage to be warmer. Because there are no vents on the helmet, the lack of padding adds to the airflow, but not that effectively. The ear pads can be removed, which adds a lot of ventilation to the helmet, but doesn't provide much adjustability. Some people prefer helmets with a few open vents, allowing for air flow on warm days or wearing a beanie on colder days. The goggle integration was okay with most goggles, but a visor combined with no goggle vents makes for a steamy interface. Keep in mind that goggle fogging can ruin a good day out, so if you absolutely need ventilation, the Maze and Ledge both vented goggles significantly better. Also worth noting is that the goggle tab on the Team Baker is a flimsy plastic that feels like it could snap off if you get too aggressive about pulling your goggles off. Two-toned is always a good way to go, since you'll be able to match it with more ski outfits. Plus, a freeride shape and a slick visor combined with a bright logo will let everyone know you're planning on getting sendy. The Team Baker is in a category of its own for style. If you need a helmet for winter and summer use - and won't be bothered if it can't do either all that well - then the Team Baker is a great helmet for you. It'll do the trick in winter and summer, is safety rated for all activities, stylish, and relatively cheap. As mentioned above, for those seeking one helmet for all of their activities in every season, the Team Baker is a great choice that won't break the bank. The Team Baker is another in the category of simple, multi-season helmets. It's got a strong style, a minimalist approach, and gets the job done in any season. 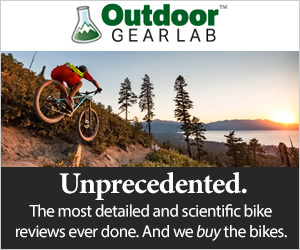 Backcountry $41.99 - 40% off!